Credit To Ice and Fire Developers: They're code helped some of the problems and features. Check out theyre mod here. pet and make it ride for you and soar in the skies. Once managed by BarracudaAta4 revived by me, TheRPGAdventurer . 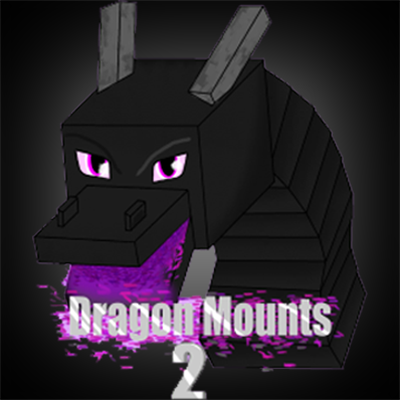 This mod however has dragon armor(for player and dragon) / tools and firebreathing dragons (added by me), higher dragon health and immunity. I would appreciate that any modpack creators and/or server administrators that greatly benefit from having my mod in their pack/on their server donate to my Patreon, but I am not requiring this. If you want to report issues, press issues tab next to Images, use this format. Write a brief description of the bug. These are step-by-step instructions to reproduce the bug. Step 1 is ALWAYS launching the game. Describe what happens when you do the repro steps. If it only happens some of the time, mention that along with an estimate of the percentage of the time that it occurs. Describe what should happen instead when you do the repro steps. Describe it as if it actually happens rather than stating that it should happen. Good: "The dragon becomes tamed." Bad: "The dragon should become tamed." Avoid simply stating the opposite of the observed result when possible. Bad: "The game does not crash." Here is where you put a bullet list of other details about the bug that could be of use. When you are preparing to report a bug, it is good to do "halo testing", which is where you explore other related scenarios that could also produce similar behavior. Screenshot showing the bug in action. The screenshot should reflect the bug, and may need some markup to highlight the problematic behavior. * Dragons don't spawn naturally. You have to find dragon nests in their corresponding biomes (Water is plains and swamp, Sunlight is desert, etc) and in the nether. To get scales, you have to tame a dragon with lots of raw fish, then craft diamond shears, and wait for your dragon to become an adult. It will take some time for your dragon to grow up (24000 ticks or 20 min per growth stage). This Resource Pack consists of dragons having feathered wings (excluding Wither and Skeleton, they both have different retextures however). Feel free to use and do NOT claim credit for this pack. Unzip the zip in the resourcepacks folder in .minecraft to make it work. Hi! I got a question, are you going to work on the movement lag while riding a dragon on servers? we're trying, however you should keep in mind that the movement lag is due to loading chunks. that "bug" is primarily Minecraft's fault. you may wonder why horses aren't laggy. It's the same kind of mount, right? no, that's not true. horses run via clientside and dragons run serverside. clientside is like, following the player's exact position and movements. serverside is the general movement of an entity. thank you :) enjoy the mod. when a dragon dies, a chest will appear where it died and it will contain an essence. I have a modpack but the dragons can only landing on a block layer of 3 blocks ... who knows why? Every time i go near my dragon, my screen goes white. I've tried everything to fix it, but nothing. Can you please help. hello, whenever I try to tame a dragon it says, "owner locked the dragon" Do you have any idea how to fix it so I can tame the dragon? this is a small bug. the dragon is NOT tamed but in fact was put into breeding mode on the first fish. it just says that because it isn't tamed right now. Hi there! I have been playing with this mod but have so far not been able to find any dragon nests and I have explored so, however, I have dirt that is in the shape of what the nests would look like. I was just curious as to if anyone had any idea as to what is happening with my game? Thank you very much. in the recent versions, the nests were revamped and given new designs. you can find floating nests over the ocean and forest eggs in the forest, and so on. most of them are hard to spot tho! we have two, at the very bottom of the description page under spoilers. this only changes the dragons' textures. changes dragons to have feathery wings, this effects the dragon textures themselves. just a good resource pack. if you're just looking for one that goes with dragons, this one has a very cool, autumn medieval fantasy feel to it.